Holidays in Hell, P.J. O’Rourke [Atlantic Monthly 1988] p171. 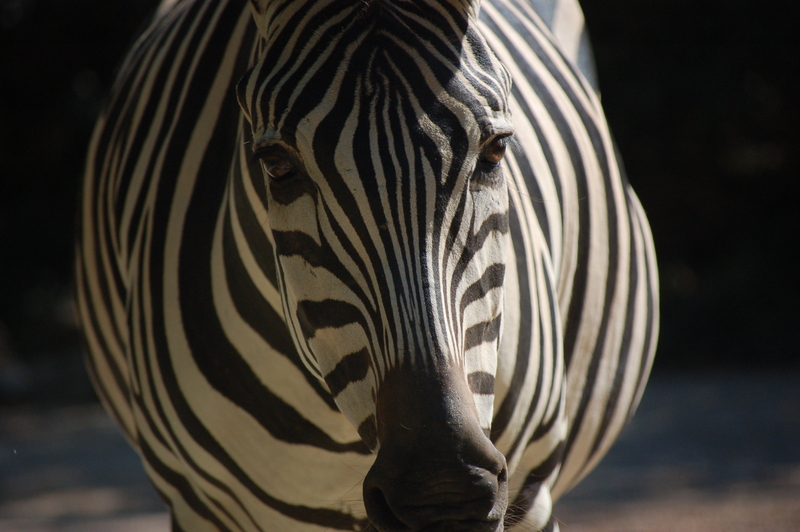 Did you know that zebras are black animals with white stripes, and not vice versa? I had heard that. Makes sense when you see the black nose, less so with the white belly. Overall, I find that the longer I look at zebras, the weirder I find them. I’ve never thought of a zebra as similar to the horse. Great picture.